When did cavalry get started? Cavalry are soldiers riding horses. The earliest cavalry soldiers were in about 800 BC, when horses were finally bred big enough so that they could carry a full-grown man in armor. 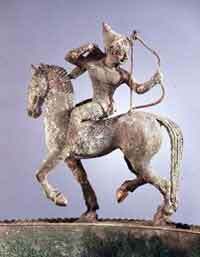 Fighting on horseback began in Central Asia, where they bred horses. Both women and men fought from horseback there. Where do horses come from? 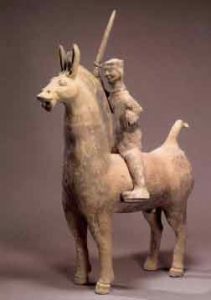 Cavalry won a lot of battles, so they quickly became popular all across Asia, from Zhou Dynasty China to the Assyrian Empire. You had to be rich to afford a horse – really several horses, so you’d have a spare in case one got tired or hurt, and another horse for your enslaved servant to ride. (They took care of the horses). So the richest men were generally in the cavalry, while poorer men fought on foot. 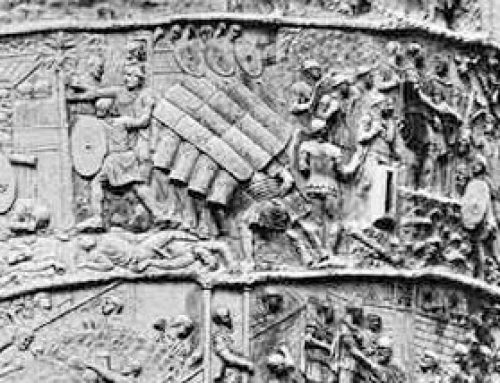 By 500 BC, the use of cavalry had spread to Europe, and there were cavalry in ancient Greece and Rome. In ancient Greece and Rome, the way you knew a man was rich was that he owned expensive war horses and could be in the cavalry. 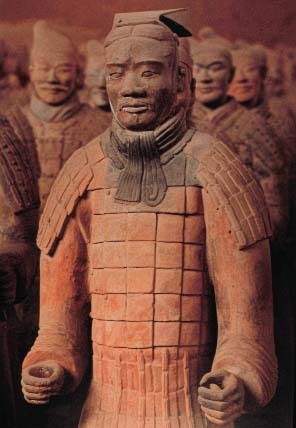 In China, the emperors formed cavalry units imitating their Central Asian enemies around 300 BC. 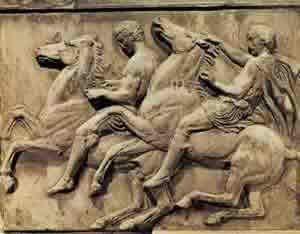 Was the cavalry important in Greece and Rome? But the Greek and Roman armies did not usually fight from horseback. 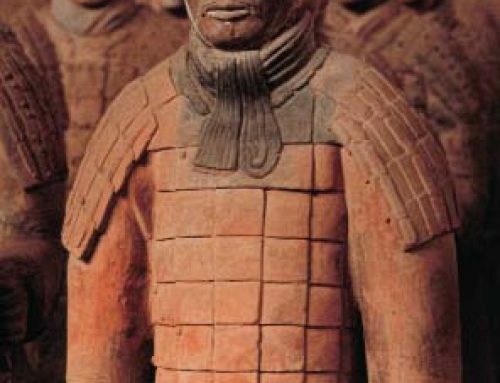 Usually the armies of these empires fought on foot. 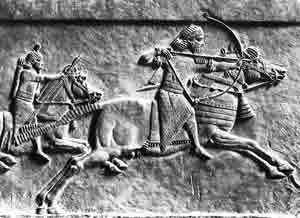 Cavalry horses were expensive, and just not that useful against well-trained foot soldiers in the hoplite tradition. 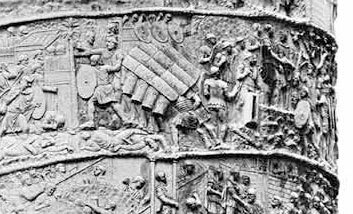 When the Gothic cavalry attacked Roman foot soldiers, usually the foot soldiers won. In the Middle Ages, after the fall of Rome, foot soldiers weren’t so well trained anymore, and horsemen became more useful. The invention of stirrups and better saddles also helped make cavalry more useful. 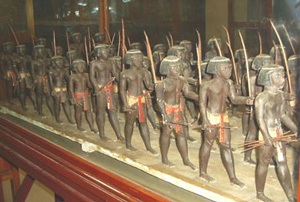 By the Early Middle Ages, Indian armies were also using cavalry. 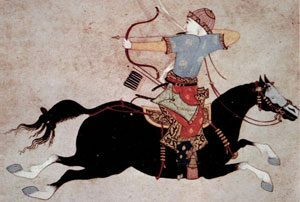 The Mongols used cavalry soldiers – including women – to conquer Asia and Eastern Europe. Even beyond the borders of the Mongol Empire, medieval European wars also used cavalry. But when well-trained English foot archers defeated the French cavalry in the Hundred Years’ War, European rulers gradually turned back to foot soldiers again. 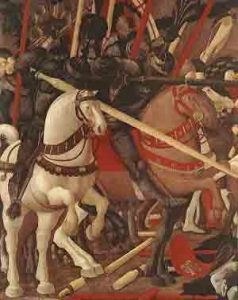 By the time Paolo Ucello painted his cavalry paintings about 1400 AD, foot soldiers and cannon were already more important than the cavalry. 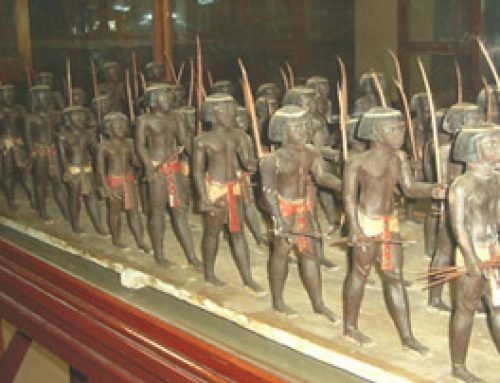 But in Asia, people kept on using cavalry to fight battles for another several hundred years, until guns really got much better in the 1800s. Be careful not to confuse the word “cavalry” with “Calvary”, which means the crucifixion of Jesus! (Many students do). Cite this page: Carr, K.E. What is cavalry? Ancient battles. Quatr.us Study Guides, June 20, 2017. Web. April 18, 2019.